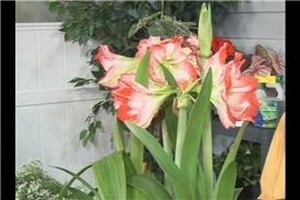 Pineapple plants are beautiful plants to grow in your garden or home. 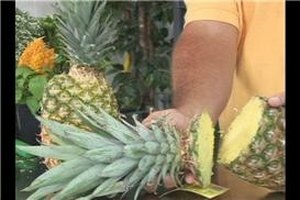 Learn all about pineapple plant care with gardening tips from a horticulturist in this free gardening video. Hi, I'm Stan DeFreitas, "Mr. Green Thumb." You know a plant that you may not think of that makes a really nice house plant, is that of the pineapple. Now pineapples, we've often thought of as something that you use for, well, just being tasty. But, if you bring it home, get your knife out. Give yourself about an inch and cut down through here. Take the top of this off, let it dry for about a day. 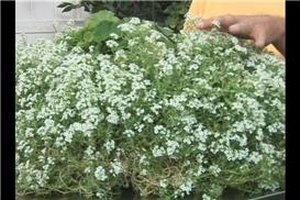 If you let it dry for about a day, you can take this top part and put it into any kind of good soil, maybe some sand, some peat, some pearl lite, and simply attach it into the ground. Put it in the container. Plant it up to about the top of the depth to wear the leaves are coming from and in about 18 months if you're in a frost free area, if should start to be able to fruit for you. Now sometimes you'll put 10 or 12 grains of calcium carbide into the center. That's what they do to help force fruiting. If you don't want to do that, which you could pick up at your average hobby shop, just take a piece of apple. A core of an apple after you've got through eating. After 18 months, put it in the center, cover it with a plastic bag for about a day and you should get some fruit to start of the side. Pineapples are easy to grow. It's a good fun activity for both children, the young, and the young at heart. For home gardening, I'm Stan DeFreitas, "Mr. Green Thumb." 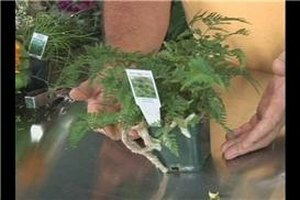 Stan DeFreitas, also known as "Mr. Green Thumb", has experience as an urban horticulturist working for the Pinellas County Extension Service and has taught horticulture at the St. Petersburg College. 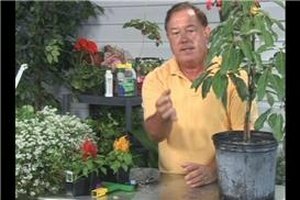 "Mr. Green Thumb" has spread gardening know-how on radio, TV and newspaper columns in both the Clearwater Sun and the Tampa Tribune. 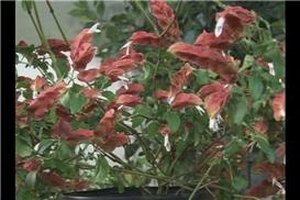 DeFreitas is the number one gardening advisor in the state of Florida, was the first to establish a "community garden" in Pinellas County, and helped start the first Master Garden Program in Pinellas County. 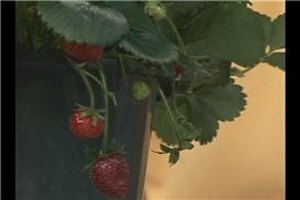 DeFreitas was also twice Jaycees Horticulture "Man of the Year", was awarded the landscape design award from the city of St. Petersburg Beach, and was the host of the highest rated garden show on local PBS.